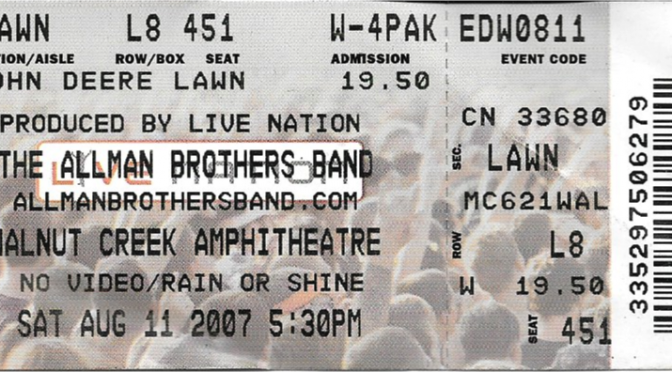 This concert review has special meaning for me since this show took place on the same day as a music milestone. It was a hectic show to get to because it’s a 3 hour drive from Raleigh to Fort Mill, SC where the show was. Ft. Mill is just south of Charlotte but was because of what happened earlier that day. I was busy all day at a freelance gig and tuned out of everything to complete a project. I was rapidly trying to complete the day’s tasks so I cold get down to Charlotte or Ft. Mill to be exact and see Primus with Helmet opening up! I had scored 2 tickets and invited my friend Wes to go along with me. We are both huge Primus and Helmet fans. I had seen both bands once before and was excited to see them again. Primus was touring in support of their latest album, Tales from the Punchbowl, scoring a big hit with Wynona’s Big Brown Beaver. I picked up Wes and we headed down I-85 towards Charlotte and Wes told me that Jerry Garcia had passed away earlier that day. I was shocked and a bit bummed out. I had just seen the Dead in DC a few weeks earlier. Jerry was not in top form the past year so it was sad to hear that he passed while trying to improve himself and get clean again. This was also the third time in less than 3 years that I was going to concert on same day that another famous entertainer died. The previous one being Kurt Cobain. So this show was when I coined the phrase “deathshow” to describe this phenomenon. Regardless of the fact that we lost Jerry, we listened to a few Dead songs and then cranked up Helmet and Primus the rest of the way to Charlotte. If you’ve never been to Fort Mill, SC, it’s a small town just over the border from Charlotte. Neither Wes nor I had any clue where the facility was and it seemed to take forever to find the place but we made it! Once we got into the facility we realized that we had just missed Helmet’s opening set. Second bummer of the night. Wes was really bummed as he had not seen them. I was disappointed but we were there and ready to see Primus! The facility was the original NBA Charlotte Hornets practice facility, which is now a church. It’s similar to was like a high school gym with bleacher seats on one side of a full basketball court and a stage on the other. Since the show was general admission the wide stage allowed you to get up close without being mangled in the sweaty mosh pit. Opening with To Defy, was on spot after such a hard time getting to the show! Blue-Collar Tweekers into Here Come the Bastards was great too. I’m a huge Primus fan and their second album, Sailing the Seas of Cheese is one of my favorite albums. 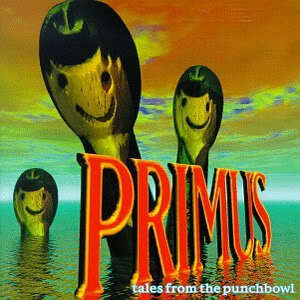 The next few songs off Tales from the Punchbowl are great showcases for Les Claypool‘s bass playing and quirky tales. Groundhog’s Day into Pudding Time was excellent as well and just a few songs later they tear into Sailing the Seas of Cheese! Pork Soda is a decent album but not a good song. Same goes for My Name is Mud, I’ve never been crazy about it. But the real treat was just around the corner. Primus went into Southbound Pachyderm which is my favorite song on this album. Primus had several different backdrops to match songs from the new album that changes during the show. I remember the combination of the lights with the shading of the artwork made it look really cool and almost animated. I to remember Primus playing Jerry Was a Race Car Driver and was thinking about Jerry Garcia during the song. For some reasons the fans started throwing crap at the band during the song and someone hit Tim Alexander in the head. The band stopped and Les told whomever hit Tim needed to come up and offer a BJ as penance! 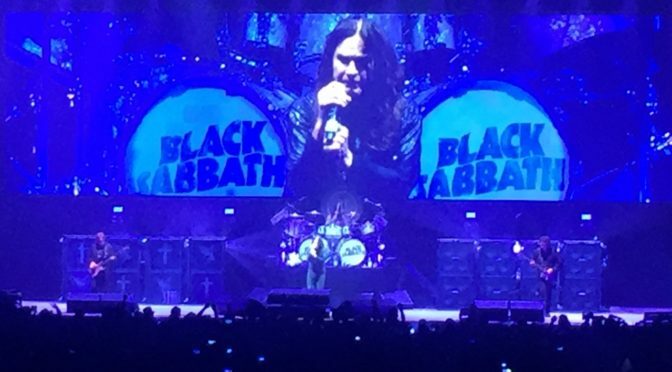 All in all a fantastic show by a great power trio at the height of their creativity. 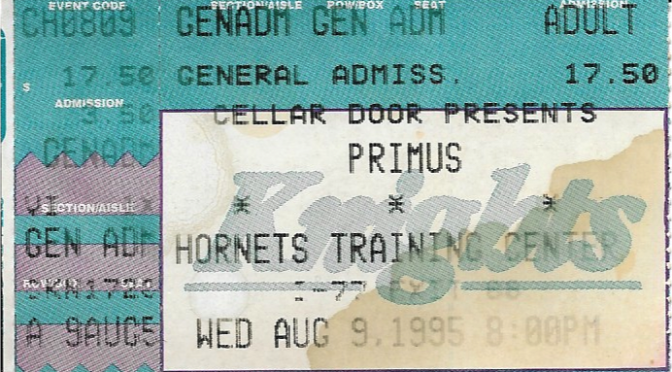 Primus would continue but this was the last tour with the original lineup for the next several years. Les Claypool would go on to form a new band every year and continue to amaze me with his talent. 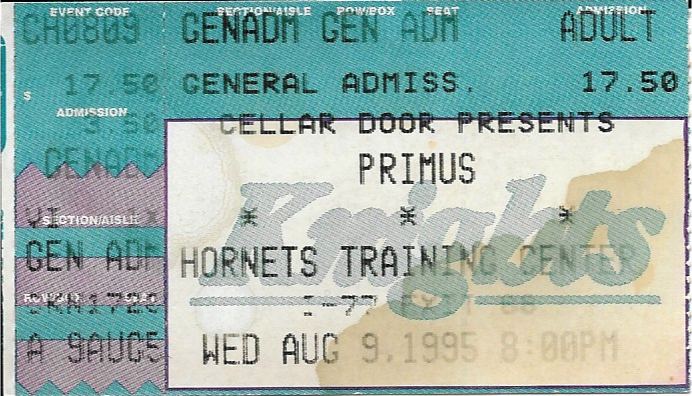 This was the best Primus show I ever went to. I’ve seen them several times and this was one of those rare times when the band was hitting the note. Tales from the Punchbowl would be their last great album with the original lineup as well.